A running Captain's Log of the sailing and racing yacht "Starship Enterprise"
After all, it was a full day of labor. The photo above is of Captain Dave trying to fish out the new Impulse Engine Ignition Circuit from the depths behind the engine controls. But, it's exactly how it ended up there that is the real puzzler. The ignition was slightly bigger than the one it was replacing, so the socket had to be widened a bit using drill bits, files, etc. As I understand it, Jory kept testing the width of the socket, and, in a true moment of science fiction thinking, he believed that, somehow, if the ignition cylinder wouldn't fit in one side of the hole, it may just fit going from the inside. Had Kurt been there, I'm sure he would have explained to Jory how the laws of physics and basic geometry apply in alternate universes as well. So, when it didn't fit (much to his surprise no less,) Jory dropped it -- and so began the voyage into the depths. Nevertheless, the new circuit was installed and tested fine. The hull is painted and the interior shines like never before. With only a few more cosmetic things to do, I think we'll be ready for launch in a couple of weeks. It looks like there will be another Enterprise in NYC waters very soon. 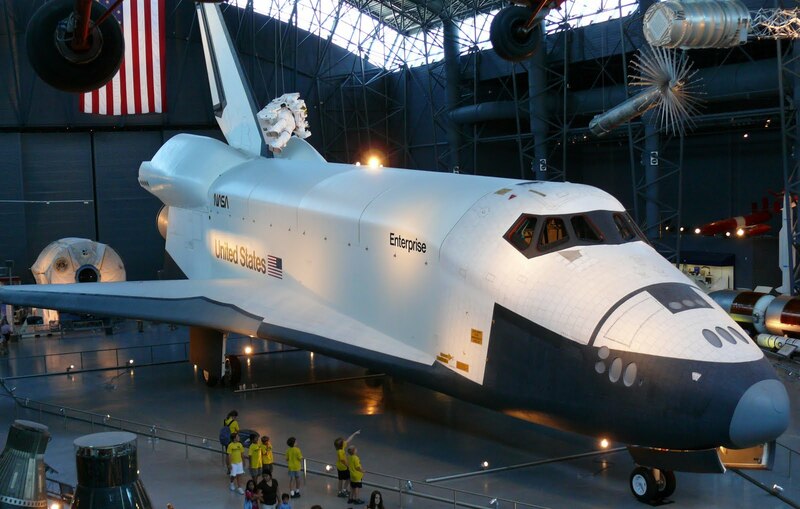 Yesterday, several news sources announced that the Intrepid Sea-Air-Space Museum on the Hudson River will be the new home of the NASA space shuttle prototype - the Enterprise. 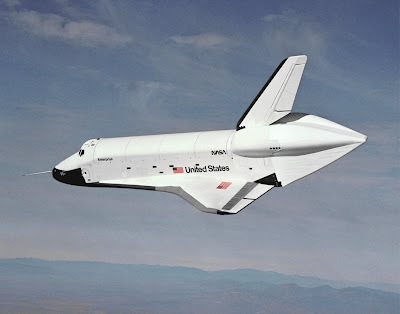 The Enterprise, Orbiter Vehicle Designation OV-101, was constructed in the mid 1970s without engines or a heat shield, never able to actually go into space. The Enterprise was instead used to test approach and landing systems for the entire space shuttle program. The original name for the first shuttle was the Constitution, but a tremendous letter campaign by Star Trek fans put pressure on President Gerald Ford to rename her to the Enterprise. Ford, back in his Navy days, used to serve on a supply ship to the Aircraft Carrier USS Enterprise and he admitted that, he too, was "partial to the name" and overrode NASA's name choice. 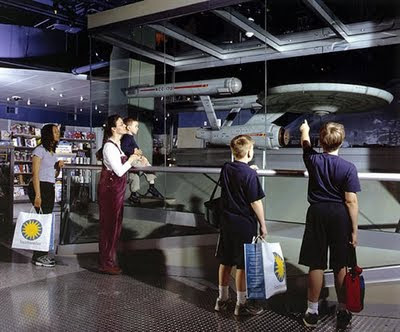 Incidentally, the Star Trek starship was originally named the Yorktown after the World War II aircraft carrier, changing the name to Enterprise in a later draft of the pilot script. 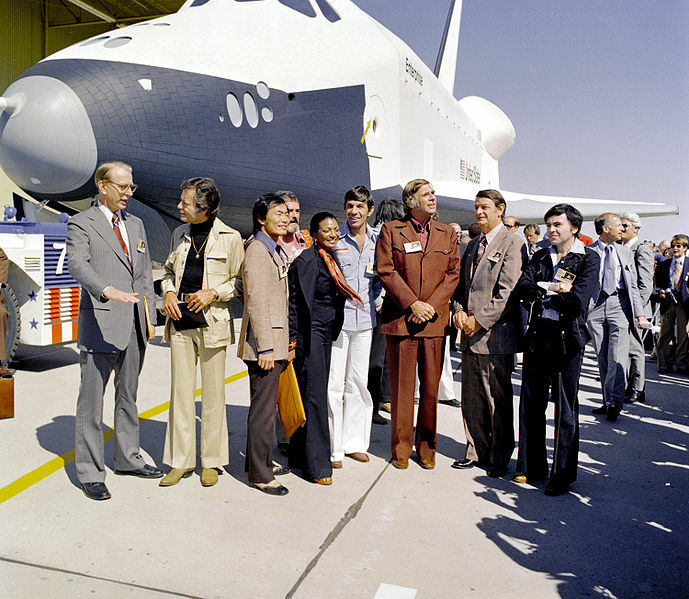 At the time, Roddenberry was working on a project called "Phase II" to bring the series back to television - a project that instead led to the production of Star Trek: The Motion Picture, the first of eleven (soon to be twelve) feature films. New York beat out 20 other cities and institutions to obtain the Enterprise, and they expect, after fundraising the estimated $42,000,000 costs to transfer her here, that visitation to the Intrepid museum will increase substantially. From one Enterprise to another: Welcome to the city so nice, they named it twice: New York, NY. I'm happy to report that, after a little work still to be done prepping the bottom, some high-flying mast work and some interior/exterior cosmetics, the Enterprise is just about ready. All looks good for our end-of-April launch date -- waiting on confirmation from the yard. In the past few weeks, we have ordered paint and supplies; repaired the failed port stanchion; replaced the main power systems with two new 75-pound AGM batteries; tightened the stuffing box; organized the tool section; replaced all flashlight batteries; verified all Coast Guard required equipment; and even ordered a new seat for the head for those who want a little more comfort the next time they leave a "biscotti" on board. We also added, in an effort to make the Enterprise more technologically advanced, an iPad mounting system so that we can see real-time weather radar, GPS navigation data, race results on the web and email access. Imagine that. 2009's Star Trek movie loaded on my iPad. Who would have guessed? EBYRA kicks off in a month with three of the Enterprise crew performing race committee duty for Race 01 on the USS Favored End, assuming she's also repaired after her shields-down impact with Mustang Sally and the engine starts. If all goes well, the Enterprise should be out there for Race 02 where we'll see how much the crew has retained in procedures and maneuvers. Before we get going, I'll be reviewing some of the crew's positions to possibly make changes based on their talents. Stay tuned for that. It's all so close, I can taste it! Can't wait until we're back out there, planning starts, jybing spinnakers, and yelling at my dad.